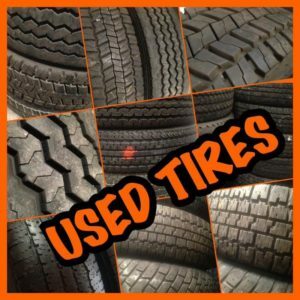 Used Tire News-Deerfield Beach,Fl-Usedtires.com via Used Tire International was subject to law 171 of 1996 instituted in Puerto Rico regulating the sale of used tires and establishing a scrap tire recycling program. Used Tire international the moment the law took effect sought relief from the federal court. Used Tire International sought an injunction along with a Temporary Restraining Order barring the government of Puerto Rico from enforcing the challenged portions of the law. The jist of this law was written by new tire makers and their resellers, in Puerto Rico. This is a long read but worth it if you believe in the constitution. USED TIRE INTERNATIONAL, INC., Plaintiff, Appellant, v. Manuel DIAZ-SALDAÑA, Defendant, Appellee. USED TIRE INTERNATIONAL, INC., Plaintiff, Appellee, v. Manuel DIAZ-SALDAÑA, Defendant, Appellant. Before SELYA and BOUDIN, Circuit Judges, and SCHWARZER,* Senior District Judge. Sylvia Roger-Stefani, Assistant Solicitor General, with whom Carlos Lugo-Fiol, Solicitor General, and Edda Serrano-Blasini, Deputy Solicitor General, Federal Litigation Division, Puerto Rico Department of Justice, were on brief, for appellant. Joan S. Peters, with whom Andrés Guillemard-Noble and Nachman, Guillemard & Rebollo were on brief, for appellee. In an effort to attack the mounting problem of solid waste disposal, the Puerto Rico legislature in 1996 enacted the Tire Handling Act, also known as Law 171. 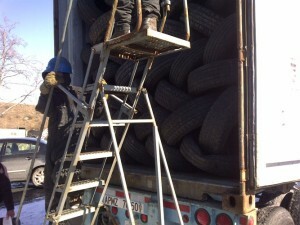 This act establishes a comprehensive scheme for the handling and disposal of used tires. Among other things, it requires tire vendors to accept customers’ used tires at no extra charge for processing or disposal, prohibits the burning of tires and depositing of tires in landfills except under certain conditions, regulates the storage and recycling of tires, establishes import fees, sets up a fund for handling scrap tires, creates incentives for recycling and developing alternative uses for scrap tires, and imposes penalties for noncompliance with its provisions. The legislature identified the disposal of tires as a particular problem because of the fire hazard they present, the public health hazard they create from disease-carrying mosquitoes breeding in water that accumulates inside discarded tires and the large amount of space they occupy, diminishing the useful life of landfills. Used Tire International, Inc. (“UTI”) is an importer of used tires into Puerto Rico. It brought this action for declaratory and injunctive relief against appellant Manuel DíazSaldaña as Secretary of the Treasury to bar enforcement of certain provisions of Law 171. Those provisions are: Article 5(B) which prohibits the import of tires that do not have a minimum tread depth of 3/32”; Article 5(D) which requires tire importers to file a bond in an amount equivalent to the cost of handling and disposing of the imported product and provides for execution of the bond in the event that 10% of a representative sample of a shipment does not qualify; Article 6 which imposes a charge on all imported tires; Article 17(A)(1) which provides for distributions from a tire handling fund, created from the charge imposed on importers of tires, to recyclers, processors and exporters of tires; and Article 19(A) which imposes a $10.00 fine on persons selling or importing tires that do not have a minimum tread depth of 3/32.” Following a hearing on UTI’s request for a preliminary injunction at which both sides presented testimony, the district court issued an opinion and order, granting the injunction against enforcement of Articles 5(B), 5(D) and 19(A) and denying it with respect to Articles 6 and 17(A)(1). Puerto Rico appealed the order and UTI cross-appealed. The parties have stipulated that we may treat Puerto Rico’s appeal as being from a final adjudication of the invalidity of Articles 5(B), 5(D) and 19(A). We have jurisdiction under 28 U.S.C. §§ 1331 and 1292(a)(1). Every person who sells or imports tires ․ that do not have a minimum depth of 3/32” ․ shall pay a fine of $10.00 per tire. This provision shall apply to those who fail to comply but have not had their bond executed, according to what is pointed out in Article 5(D) [which requires all tire importers to post a bond]. It read that provision as making the penalty applicable only to those who have filed bonds, i.e., importers of used tires. The district court, having concluded that Articles 5(B) and 19(A) are invalid, did not reach the bonding requirement under Article 5(D). That article provides that “[e]very tire importer shall file ․ a bond ․ equivalent to the total cost of the handling and disposal of the imported product. Should more than 10% of a representative sample of a shipment of imported tires fail[ ] to meet [the 3/32” standard] ․ the totality of the bond shall be executed.” Plainly the bonding requirement imposes burdens, costs and risks on importers of used tires not borne by sellers of locally-generated used tires and thus provides added support for the conclusion that Articles 5(B), 5(D) and 19(A) together facially discriminate against interstate commerce. The inexorable increase in the volume of solid wastes and the health and environmental consequences attendant on their disposal present legislatures and courts with vexing problems. See Philadelphia v. New Jersey, 437 U.S. 617, 630, 98 S.Ct. 2531, 57 L.Ed.2d 475 (1978) (Rehnquist, J., dissenting). We may assume that Puerto Rico’s purpose in enacting Law 171 was to serve the best interests of all its citizens. But no matter how laudatory its purpose, “it may not be accomplished by discriminating against articles of commerce coming from outside the [Commonwealth] unless there is some reason, apart from their origin, to treat them differently.” Id. at 626-27, 98 S.Ct. 2531.2 In Philadelphia, the Supreme Court struck down a New Jersey statute that prohibited the importation of waste originating out of state. The crucial question, the Court said, was whether the statute was “basically a protectionist measure, or whether it can fairly be viewed as a law directed to legitimate local concerns, with effects upon interstate commerce that are only incidental.” Id. at 624, 98 S.Ct. 2531. To answer that question, the Court saw no need to resolve the dispute between the parties whether the purpose was to serve parochial economic interests or to save the environment for “the evil of protectionism can reside in legislative means as well as legislative ends.” Id. at 626, 98 S.Ct. 2531. New Jersey’s law, it held, fell within the area that the Commerce Clause puts off limits to state regulation because it “imposes on out-of-state commercial interests the full burden of conserving the State’s remaining landfill space.” Id. at 628, 98 S.Ct. 2531. UTI cross-appeals from the district court’s denial of injunctive relief against enforcement of Articles 6 and 17. We review the denial of a preliminary injunction for abuse of discretion. See Ross-Simons of Warwick, Inc. v. Baccarat, Inc., 102 F.3d 12, 16 (1st Cir.1996). The appealing party “bears the considerable burden of demonstrating that the District Court flouted” the four-part test for preliminary injunctive relief. E.E.O.C. v. Astra USA, Inc., 94 F.3d 738, 743 (1st Cir.1996). That test requires plaintiff to show probability of success on the merits as well as irreparable injury, the balance of harm tipping in plaintiff’s favor, and absence of adverse effect on the public interest. See, e.g., Starlight Sugar, Inc. v. Soto, 114 F.3d 330, 331 (1st Cir.1997). Article 6 imposes a charge on each imported tire, whether new or used, varying with the dimension of the wheel rim. The revenue received from this charge is placed in an Adequate Disposal Tire Handling Fund, created under Article 17, to subsidize the cost of processing and recycling used tires. The district court held that Article 6 does not discriminate against interstate commerce because the charge is imposed on all tires entering Puerto Rico, no tires being manufactured in Puerto Rico. See Exxon Corp. v. Governor of Maryland, 437 U.S. 117, 125, 98 S.Ct. 2207, 57 L.Ed.2d 91 (1978). UTI argues that the charge discriminates because it is not imposed on locally-generated tires. Those tires, of course, pay the charge when they enter Puerto Rico as new tires. The district court found that those tires nevertheless enjoy an economic advantage because the charge is not passed on in the price of locally-generated used tires. Whatever the basis for that finding, we find nothing discriminatory in a one-time charge imposed on the importation of every tire, new or used. The only used tires that may enjoy an advantage are those that were imported new or used before Law 171 became effective (some of which were presumably imported by UTI). But their advantage is temporary and is the result, not of discrimination, but, rather, of the inevitable phasing in of the new law. Because we find that Article 6 “regulates evenhandedly to effectuate a legitimate local public interest, and its effects on interstate commerce are only incidental,” Pike v. Bruce Church, Inc., 397 U.S. 137, 142, 90 S.Ct. 844, 25 L.Ed.2d 174 (1970), we affirm the district court’s ruling denying injunctive relief. Article 17(A)(1) provides for the distribution out of the Adequate Disposal Tire Handling Fund of the revenue derived from the import charge. Out of the revenue collected, handlers of tires to be processed or recycled in Puerto Rico are to receive a maximum of 91% of the handling and disposal fee and exporters up to 46%. UTI contends that this provision facially discriminates against tire exporters. The district court found, and it is not disputed, that UTI is not a scrap tire exporter and thus not hurt by the law. Accordingly, it lacks standing to attack this article. See Lujan v. Defenders of Wildlife, 504 U.S. 555, 560-61, 112 S.Ct. 2130, 119 L.Ed.2d 351 (1992). We therefore AFFIRM the district court’s order respecting injunctive relief. 1. Because no new tires are manufactured in Puerto Rico, all new tires are imported along with used tires. New tires in due course enter the local trade as locally-generated used tires when they are taken in trade-in or bought for resale by local tire dealers. At that point, they compete with imported used tires. 2. “Puerto Rico is subject to the constraints of the dormant Commerce Clause doctrine in the same fashion as the states.” Trailer Marine Transport Corp. v. Rivera Vázquez, 977 F.2d 1, 7 (1st Cir.1992). 3. The Secretary urges us to apply the balancing analysis explicated in Pike v. Bruce Church, Inc., 397 U.S. 137, 142, 90 S.Ct. 844, 25 L.Ed.2d 174 (1970). That analysis-weighing burdens against benefits-is inapposite, however, because this is not a law that “regulates evenhandedly to effectuate a legitimate local public interest” whose “effects on interstate commerce are only incidental.” Id. at 142, 90 S.Ct. 844. While we do not doubt the benefits to Puerto Rico’s citizens from extending the useful life of their landfills, the Philadelphia line of cases teaches that the Commerce Clause does not permit those benefits to be achieved at the expense of interstate commerce through discriminatory legislative means. 5. The foregoing discussion sufficiently disposes of UTI’s claim that Articles 6 and 17 violate the due process and equal protection clauses.